There’s plenty of speculation that Facebook will introduce mobile payments to its Messenger app in the future, and South Korea’s top chat app is giving the US company a glimpse of how it could work. 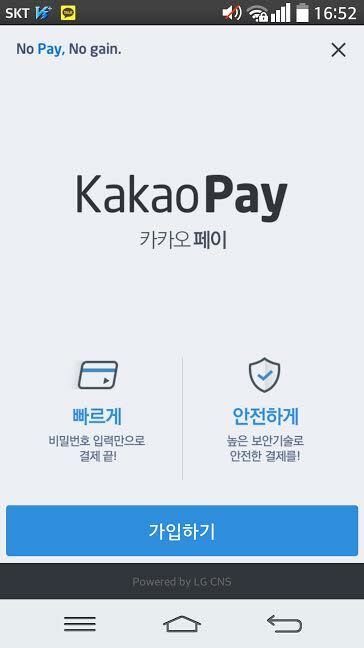 Kakao — which completed a $3 billion merger recently and has 154 million registered users worldwide — teased a payments solution in February, and now KakaoPay has launched. Available in Korea — where it claims an incredible 93 percent installation rate on all smartphones — the service is integrated into the Kakao Talk app and will virtually store up to 20 credit and debit cards. KakaoPay is initially rolling out for Android, but there are plans to bring it to iOS users in Korea next month. For now, the company is keen to stress its security, and that the solution simplifies the current mobile payments systems in Korea, which require a myriad of authentication and verification processes.